Following on from our November Retro Man Blog Night, The Masonics and The Baron Four were once more sharing the same stage, this time at a benefit for the War Child charity organized by Ye Nuns who were on the bill too. A packed out Lexington also had the opportunity to participate in what must be the coolest raffle ever with prizes donated by State Records, Damaged Goods Records, Weirdsville, Dirty Water Records, Faber and Bloomsbury Publishing, photographer Jeff Pitcher and artwork by The Masonics and Miss Ludella Black. Probably the most unconventional prize was a customized triangular road sign showing a Nun digging up the road and the lucky winners had the pleasure of having to carry it all the way back to the Medway on the train! All three bands played great sets with The Baron Four in particular proving they are one of the most exciting live acts around and their new songs, in particular "Don't Need You Anymore" (which must surely be their next single!) promise that 2017 should be a very special year for them. Ye Nuns were frankly superb, on paper a tribute band to The Monks - always one of the most idiosyncratic and well, downright weird bands of the '60's Garage Rock scene - seems a strange idea. 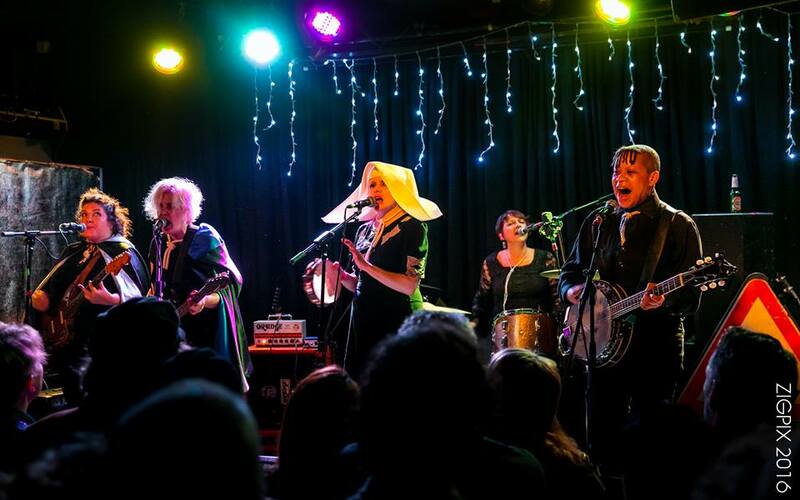 The fact that Ye Nuns are a seven piece all-girl band taking the stage in Nun's habits just makes it all the more bizarre yet for some reason it all falls into place perfectly! The Monks clanging, abrasive songs in a way pre-dated Krautrock and I can understand why The Fall's Mark E Smith is such a huge fan as they can sometimes be as irritating as they are addictive. 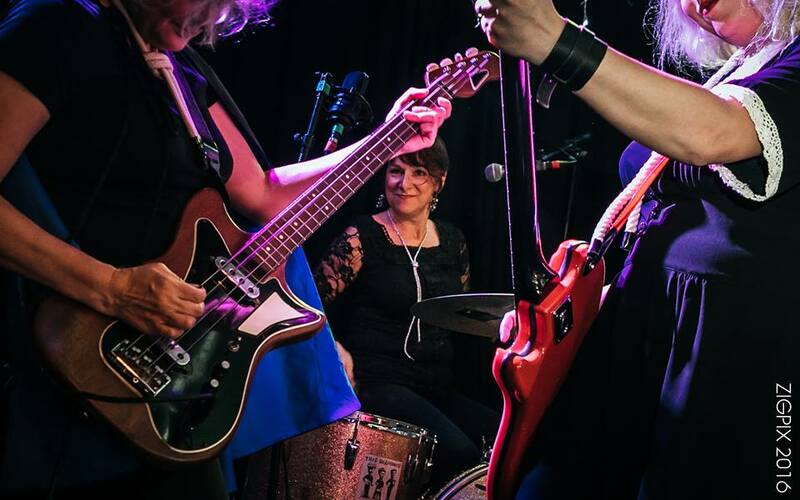 Tonight Ye Nuns crank up the volume and blast us with ear-busting fuzz guitar and scathing electric banjo but sweeten it all with some impressive vocal harmonizing. It's probably the band's most accessible songs "We Do Wie Du" and "Oh How To Do Now" that go down the best with the crowd and on the last song a vitriolic "I Hate You" they are joined by a second bassist to really ramp up the action even more! The Masonics with special guest Miss Ludella Black treat us to their usual entertaining set of good time Garage Rock 'n' Roll including some songs from their mighty fine new album "Obermann Rides Again". All in all a great night out in the build up to Xmas and all for a great cause too so please check out more details on the War Child charity if you have chance, their web-site is here. The Masonics & The Baron Four photos copyright Retro Man Blog. Ye Nuns photos courtesy (and copyright) Zigpix, please check out the Zigpix web-site here for more excellent live photography. For more photos of the gig please check out the Retro Man Blog Facebook page here. For videos please visit the Retro Man Blog YouTube channel. 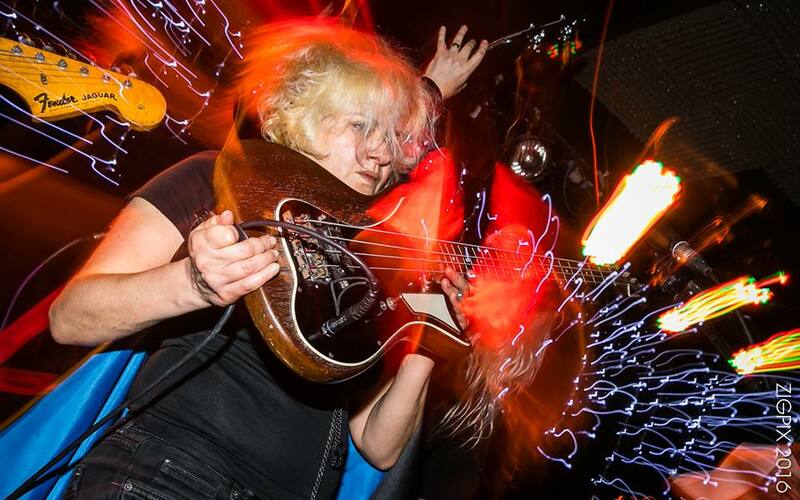 For full sets of all three bands then have a look at the Archivist of London YouTube channel. With thanks to Delia.